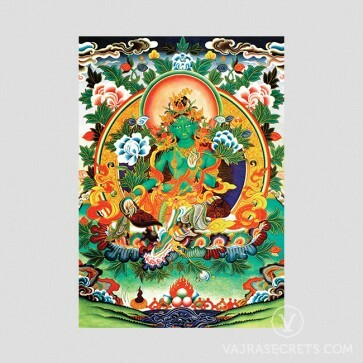 A canvas printed thangka of Green Tara, the main form of Buddha Tara. Renowned for her swiftness to come in aid of those who sincerely invoke her in prayers, this Female Buddha is a firm favourite among Tibetan Buddhists. A canvas printed thangka of Green Tara depicted in radiant splendour, perfect for those seeking a classic interpretation of Green Tara's imagery. 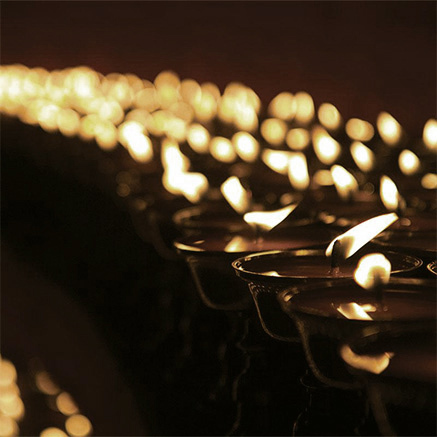 Renowned for her swiftness to come in aid of those who sincerely invoke her in prayers, this Female Buddha is a firm favourite among Tibetan Buddhists.